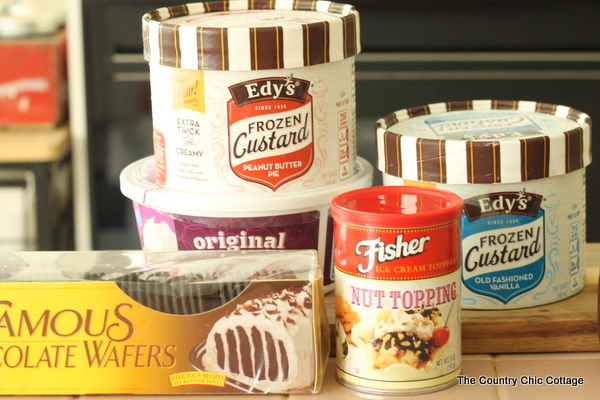 2 packages of Dreyer’s/EDY’S® Frozen Custard in your choice of the flavors below. You can find Dreyer’s/EDY’S® Frozen Custard in the freezer aisle at retailers throughout the country, such as; Safeway, Kroger, Walmart, Target, Delhaize, HEB and Publix, etc. I used Old Fashioned Vanilla and Peanut Butter Pie for my layer cake and the combination was amazing. 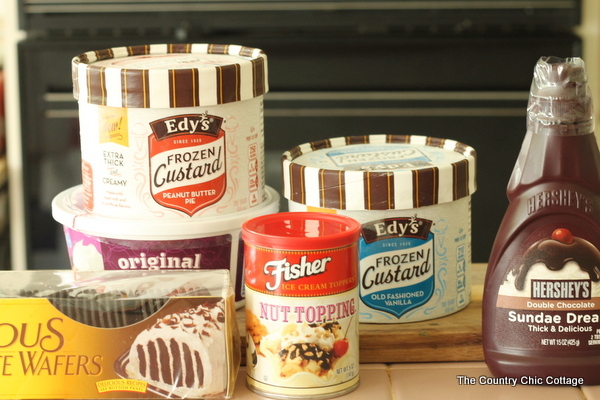 Start by leaving the cartons of Dreyer’s/EDY’S® Frozen Custard out for about 15 minutes to soften. Cut the carton away from the frozen custard then cut the frozen custard into thirds. On a plate layer crushed chocolate wafers, one slice of frozen custard, crushed chocolate wafers, a different flavor of frozen custard, and so on. In total I used four layers (two of each flavor) in my cake. 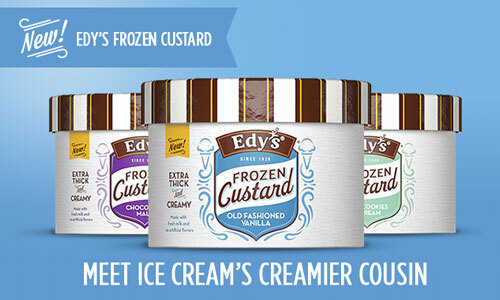 Yes that means you have a third layer in each carton to give Dreyer’s/EDY’S® Frozen Custard a try for yourself! 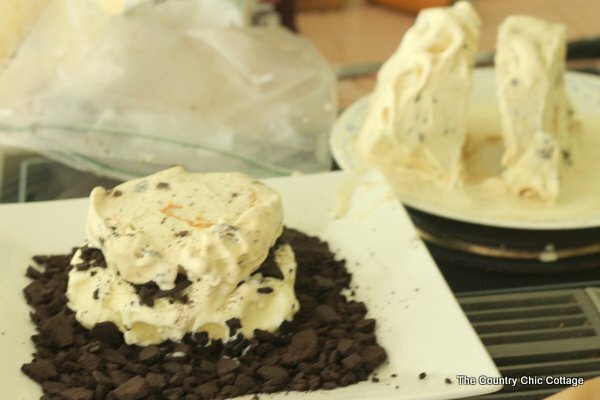 Cover the entire “cake” with the thawed whipped topping then pour on the toppings of your choice. Return to the freezer for approximately 30 minutes before serving. 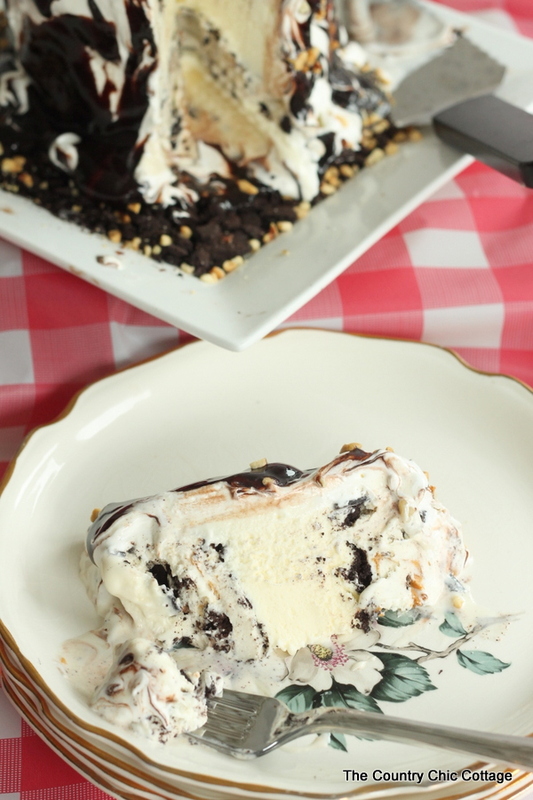 Cut a big slice and enjoy that thick and creamy texture of Dreyer’s/EDY’S® Frozen Custard in the form of a piece of amazing cake. Dreyer’s/EDY’S® is the first national brand to offer this beloved all-American treat and I am sure y’all will love it! Hurry out to the store to purchase Dreyer’s/EDY’S® Frozen Custard for this weekend’s Fourth of July celebration. Or wait and pick up a few cartons for yourself or a party you are hosting later in the summer. 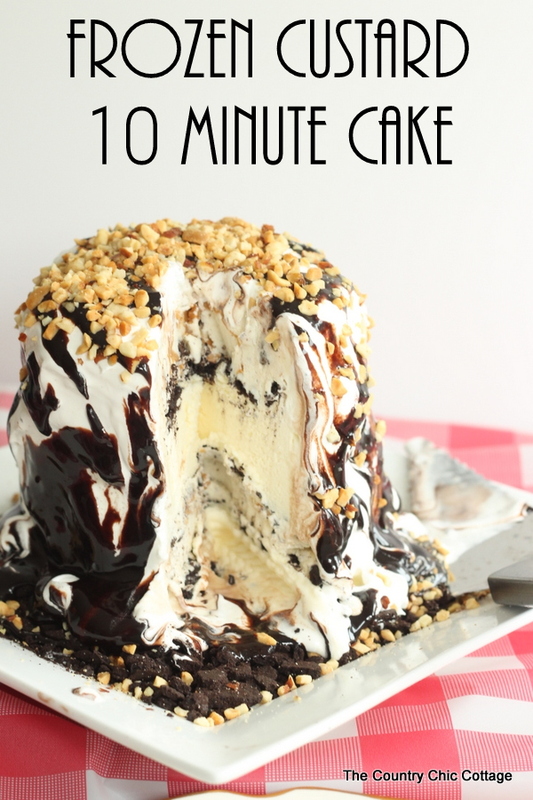 Either way this 10 minute frozen custard cake is sure to knock everyone out of the park! Now I promised y’all a giveaway! You can enter to win a fabulous gift pack using the rafflecopter widget at the bottom of this post. The gift pack will contain coupons to redeem for free Dreyer’s/EDY’S® Frozen Custard, ice cream scoops, bowls and spoons – everything you need for your own Frozen Custard party! Must be 18 years or older and a US resident to enter. Void where prohibited. Prize is furnished and shipped by a third party and not The Country Chic Cottage. This looks amazing!! 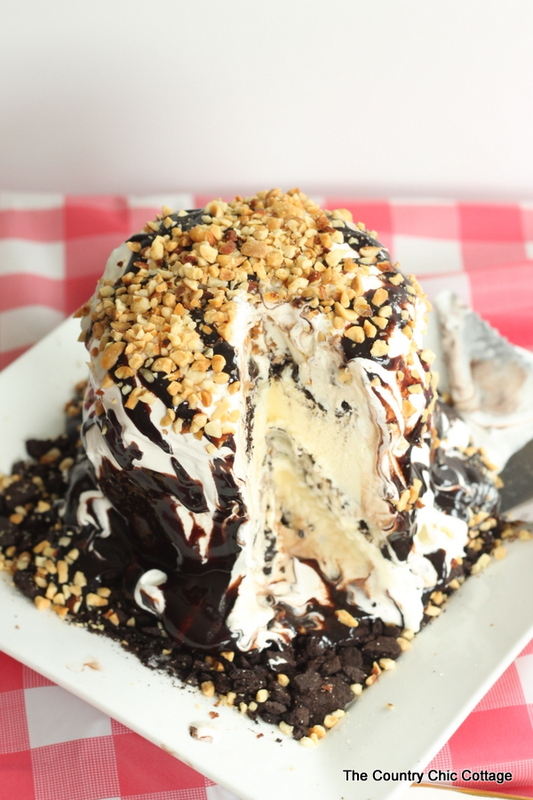 My husband asked for an ice cream cake for his upcoming birthday and I think he’s getting this-thanks for sharing!! This looks divine! I would love to have this on the spread for my 4th of July celebration. Pinning! Thanks for the contest! Holy smokes that looks SO good!!!!! We LOVE the Dreyer’s Frozen Custard! Just used it to make delicious chocolate malt shakes! YUM! I’ve done some frozen treats in the past, but I have never thought of making them with custard. Frozen custard is my favorite! Oh my goodness this looks heavenly! Seriously SO good. Great picture. 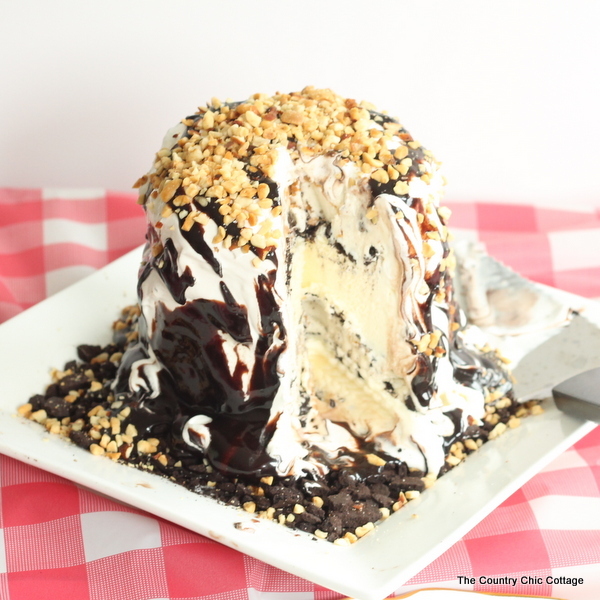 I’ve never thought about making something like this from frozen custard. I’ll give it a try! Red white and blue sprinkles. Patriotic themed bowls with a nice patriotic table cover. Have everything set up and self serve. A bundle of patriotic balloons.